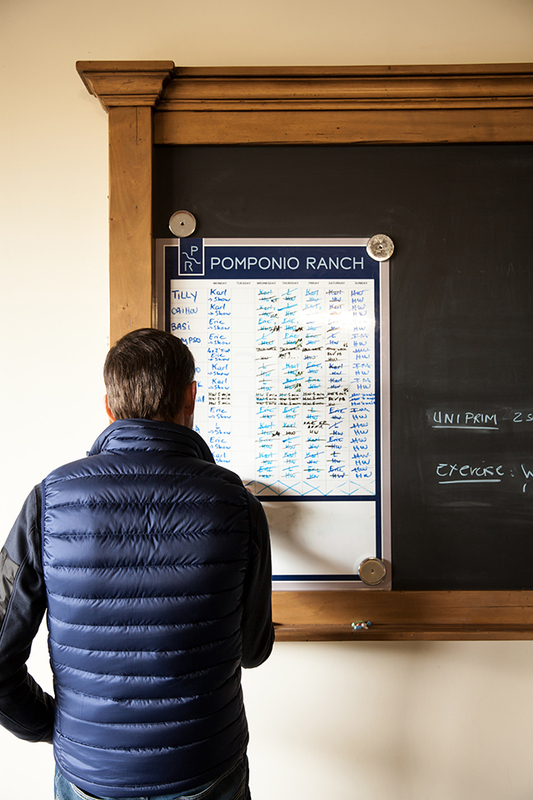 Early mornings of simple demands and small triumphs kick start each day for Karl Cook and Eric Navet of Pomponio Ranch. Promptly climbing aboard the first horses of the day at 7 a.m., they practice methodical repetition and reiterate clear communication with their mounts. 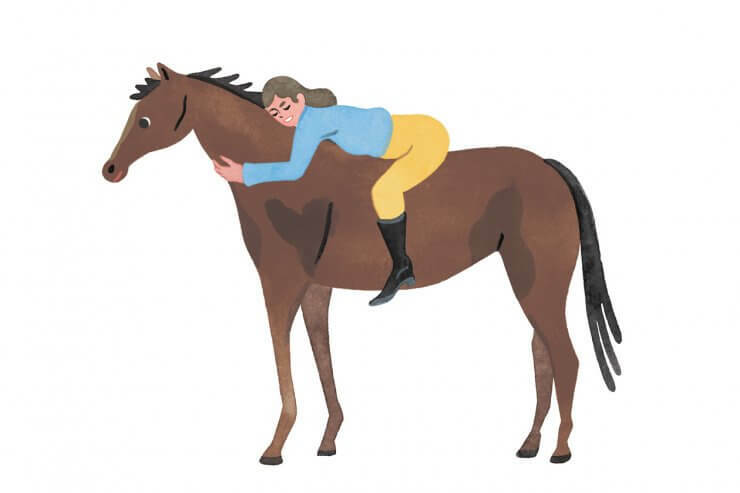 Each rider will take his time, checking in with the animal beneath him, noting its energy, mood, comfort and focus. Their mission is to replicate the previous day’s work, which mimicked the work of the day before, improving the clarity and depth of the partnership through each wet blow of the nose and hoof beat in the sand. This particular routine that now defines the lives of the 14 show horses that travel with Cook and Navet was, however, not always as it is today. In 2012, Cook realized he needed a change. Though he had been presented with many a blue ribbon and medal, namely at the FEI North American Junior Young Rider Championships in 2007 and 2008, his riding had plateaued and he was on a downhill slope. 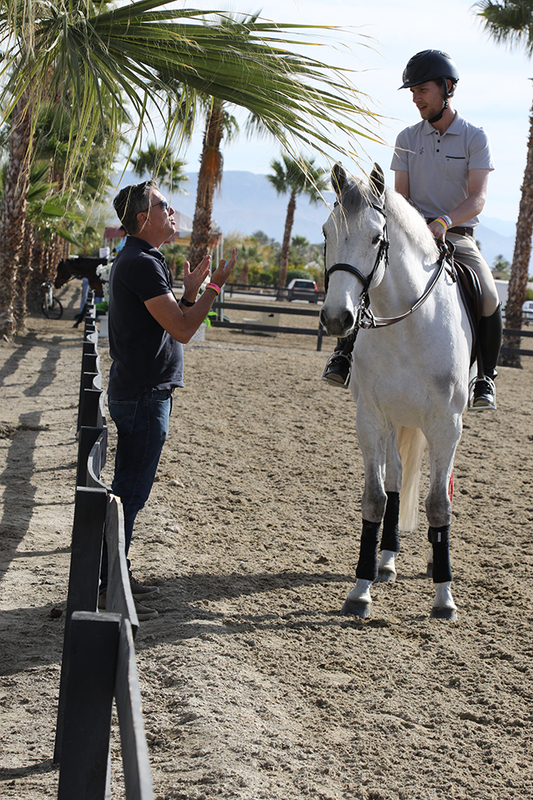 Upon traveling to Europe to help his sister on her Young Riders tour, Cook was introduced to the internationally acclaimed French rider Eric Navet by long-time friend Ali Nilforushan. After two intensive months out of the show ring at Navet’s farm in France, Cook returned to the States renewed. At that time, he continued receiving help from Navet for important events. Yet the young athlete sought consistency and structure, and who better to provide that foundation than show jumping legend Navet? So what began as a sporadic teaching relationship between Navet and Cook blossomed into a long-term partnership that continues to shape both of their careers. Proving his gift early on, Navet earned individual gold and silver medals, along with a team silver medal at the Junior European Championships. His accomplishments in the World Equestrian Games through the years include an individual gold, an individual silver, two team golds and two team silvers. As a three-time member of France’s Olympic show jumping team, Navet helped bring home the team bronze in 1992. Navet also holds an individual gold medal from the European Championships as well as five from the French Championships. Talented and driven, with a composed nature, Navet has earned respect from fellow competitors and trainers worldwide. 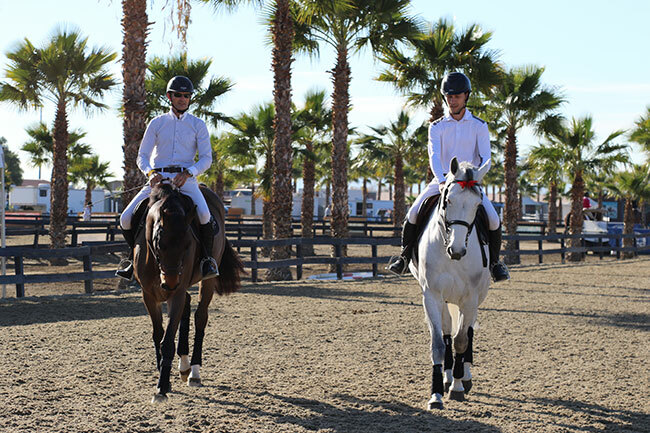 An emphasis on horsemanship stands as the underlying foundation of Navet’s work. His father, a breeder and international rider, taught him to “be a horseman before being a sportsman.” Though grooms play an essential role in the life of a show jumper, Navet believes a rider must be able to perform every task himself and work with the caregiver to do what is best for each horse. To illustrate this point, Navet recounts his mount throwing a shoe in the first round of the Junior European Championships. With no farrier to be found, 16-year-old Navet tacked the shoe back onto his horse’s hoof himself and proceeded to win the second round of competition. Read the rest of the article online in Horse & Style’s Mar/Apr 2017 Issue.